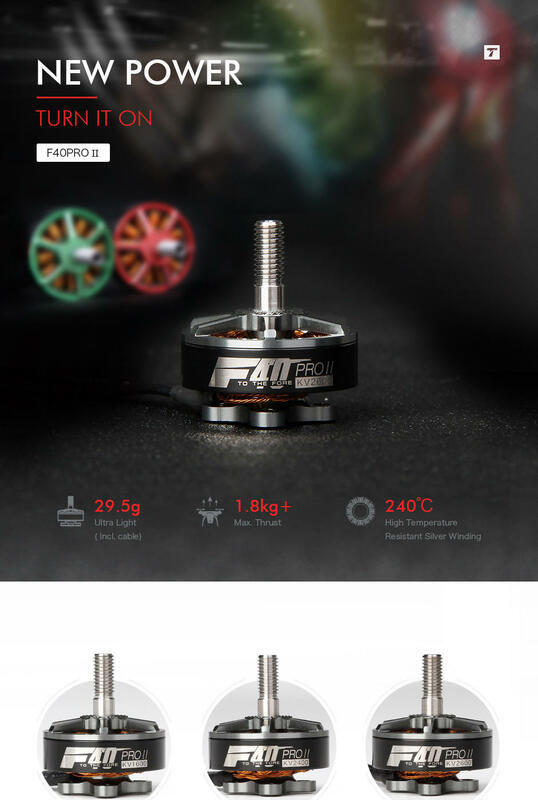 Weighing only 29.5g and thats including wires, the F40 PRO II has a high power ratio for the size and weight of the motor. Also they have a titanium steel shaft with EZO bearings making them durable and super smooth. The best motors I have ever used. Build quality and performance is second to none. And even with a very hard session free styling the motors come down nice and cool running hq 4.8 pitch props. Highly recommended .